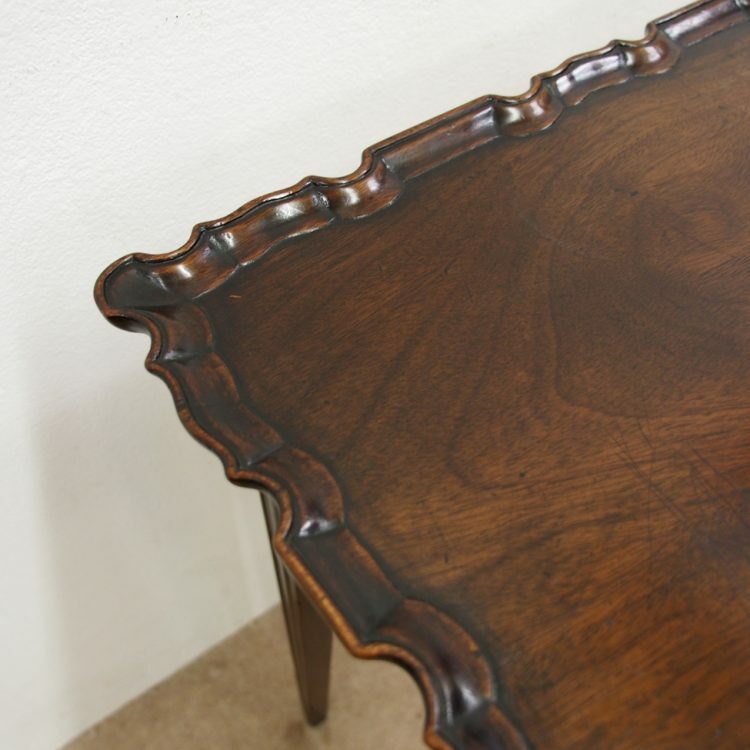 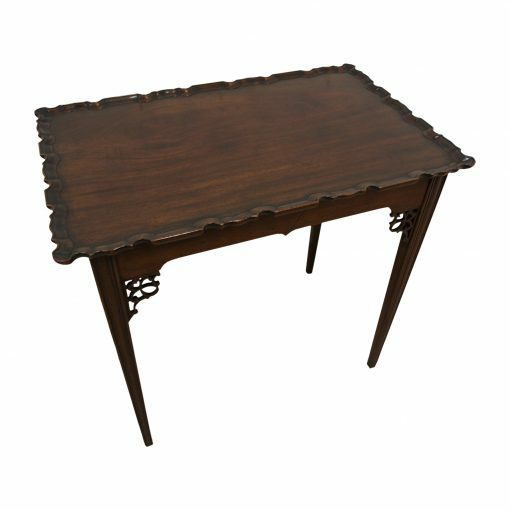 Circa 1900, Chippendale style mahogany occasional table. 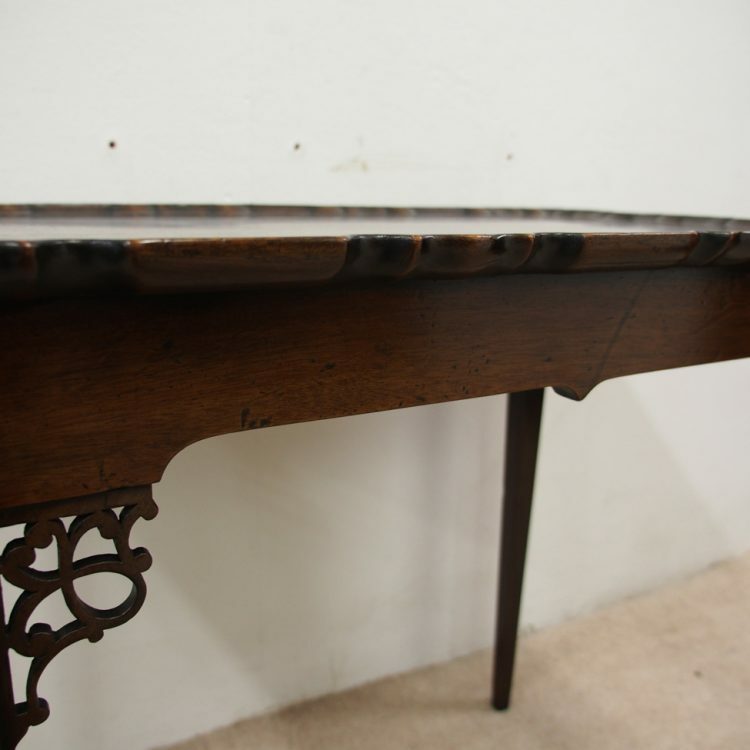 The rectangular shaped table with shaped applied moulded edge beneath the top and a simple shaped apron. 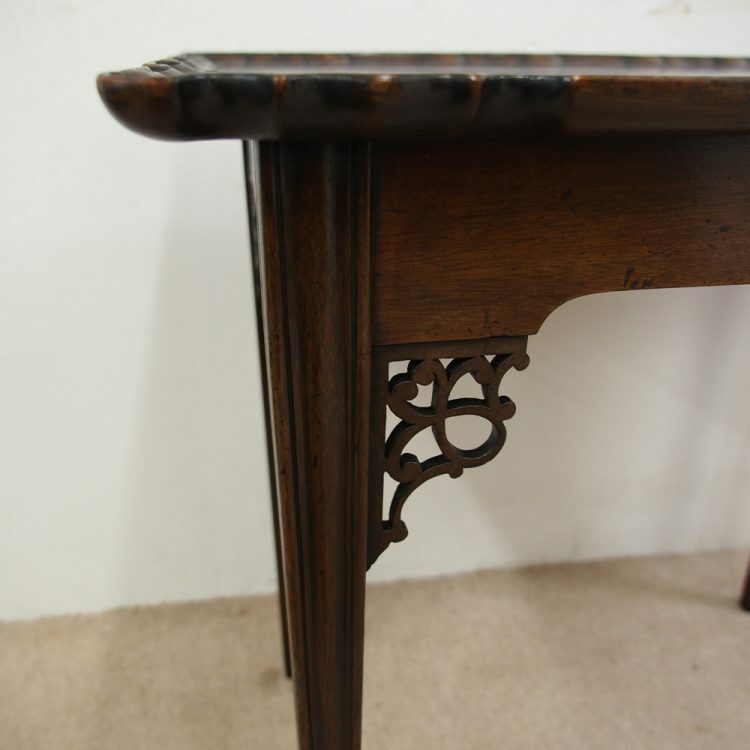 There are open fretwork quarter brackets and it all stands on four square tapering legs. 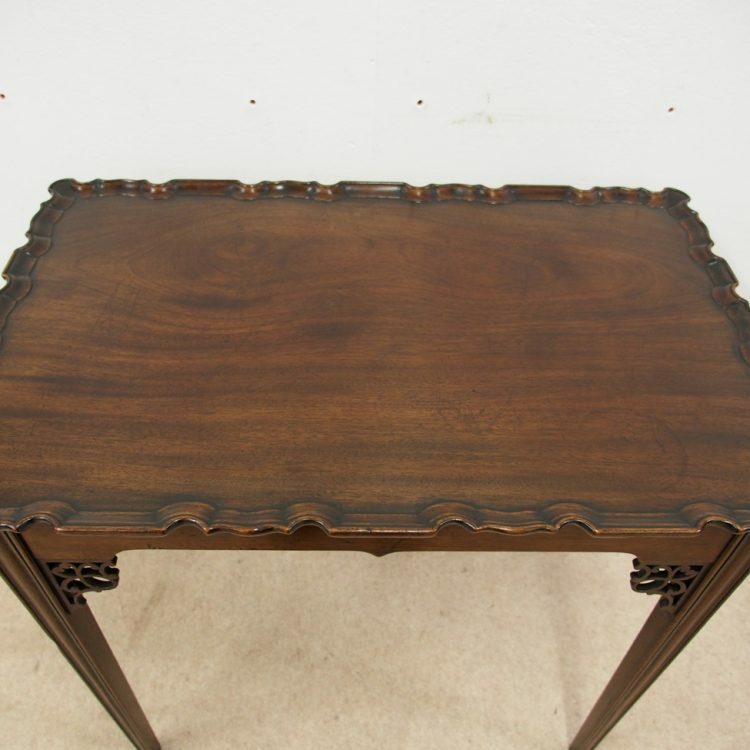 Size 70 cm high x 76 cm wide x 49 cm deep.